This section of the website contains information for students currently studying the MCL (Masters degree in Corporate Law) programme. The MCL is a full-time nine-month programme taught by the Cambridge Law Faculty's team of corporate lawyers, who are widely recognised as one of the strongest in the corporate law field. The MCL, the first entirely new degree in Law to be established by Cambridge University since the nineteenth century, is designed to combine practical insights with academic and theoretical rigour. It is therefore an ideal graduate programme both for those wishing to strengthen their credentials as business lawyers, and for those who have an academic career in mind. 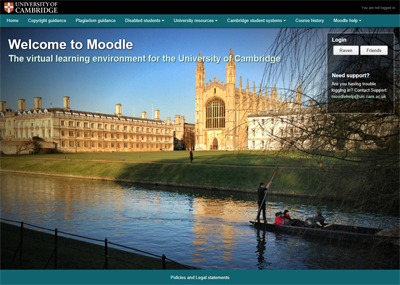 Resources for current MCL students are provided via the University VLE Moodle. Information about enrolling on Moodle is circulated to students at the start of the year. If you have any problems or queries about Moodle please contact the Faculty's Moodle Coordinator Daniel Bates (db298@cam.ac.uk), or for more general issues, the MCL Coordinator Suzanne Wade (shw27@cam.ac.uk).